This simile worksheet is modified from the middle school vocabulary curriculum. It is excellent for special education students who require an alternate or modified curriculum. 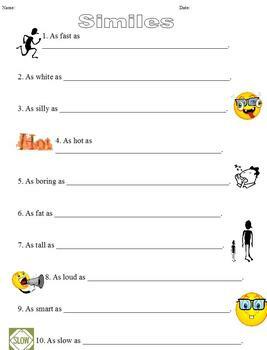 There are ten sentences and students are required to complete the sentence with a simile. These are fun to share at the end of class!